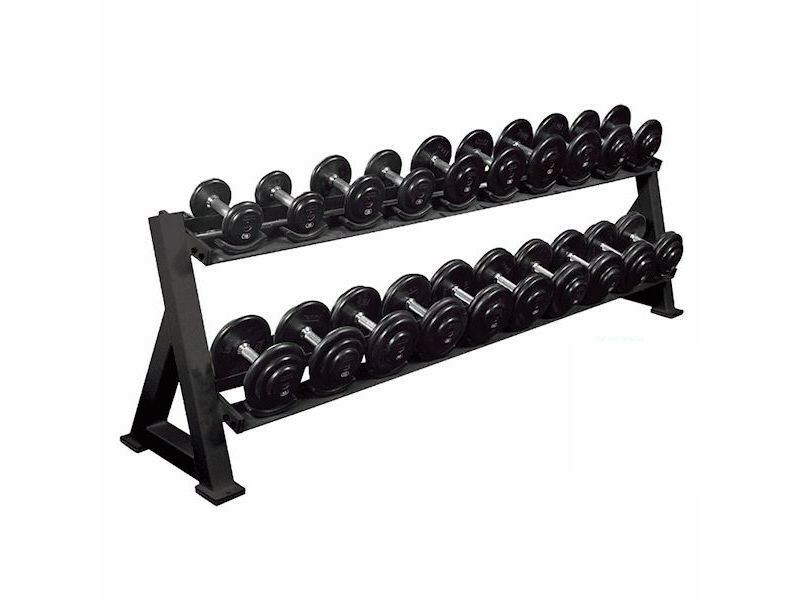 This heavy duty dumbbell rack is made to hold round dumbbells in the saddles to keep them from rolling out of place and getting mixed up on the rack. They will fit almost any type or size of round dumbbells, including pro-style and the York Legacy dumbbells. This type of rack is ideal for a commercial environment, not only because of the saddles but because each weight is spaced out more for easier access for multiple users.